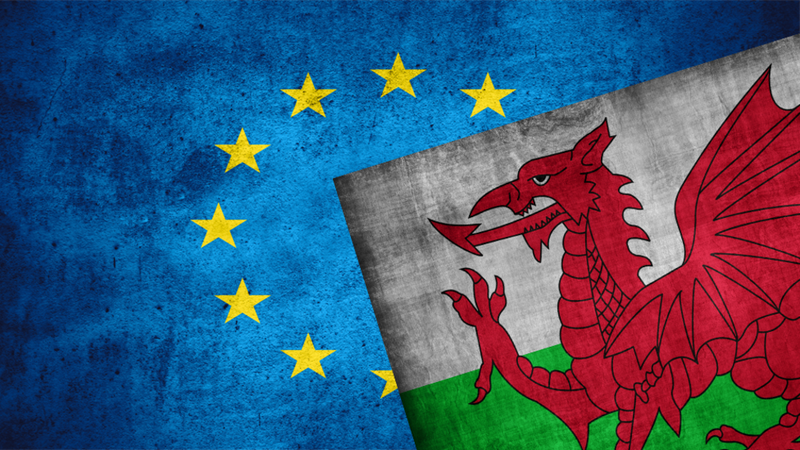 Brexit : What could it mean for Wales? After exploring the inexhaustible number of reasons why Wales might’ve voted to leave the EU, as well as the Welsh Government and National Assembly’s response to the vote, it’s worth exploring in a bit more detail what the immediate and medium-term outcomes of Brexit might mean here. Nobody can predict the future, but they can make guesses and all signs aren’t particularly good in the short to medium-term. For the time being, nothing changes, we’re still in the EU. The reaction of the financial and currency markets is a reaction to the result and some volatility should be expected until things correct themselves. Nevertheless, they’ll have an impact. Over the next few weeks, because of the falling value of the pound, we should expect things like prices in supermarkets, petrol stations and pubs to rise slightly. One of the silver linings is we can perhaps expect a tourism boost – a weaker pound will make holidays in Wales more affordable for foreign tourists (particularly Americans), and the weaker currency might boost exports because Welsh and UK goods will be cheaper to buy in other countries. The flip side is anyone thinking of taking a holiday from the UK can expect their money not to go as far, and importing things could become more expensive (hence higher prices in supermarkets etc.). Whether it’s temporary or permanent depends on how quickly the situation stabilises itself – in terms of the money already lost it’s worse than the 2007-08 crisis and another recession is nailed-on. The important thing now is to retain full, tariff-free access to the single market. The UK can do that by following Norway in becoming a member of the European Economic Area (EEA). If we remain in the single market, we would enjoy the same trade status we do now. This is the option currently being mooted in Westminster. The price for that will be applying EU laws and regulations without any say in them, making a contribution to the EU’s budget and accepting free movement. So under the EEA option, the EU will be able to shove as many rules, laws and regulations down our throats as they want without the UK having any way to refuse and the UK continues paying into the EU budget without getting anything back. Independence Day (heh)! If the UK decided to pursue a separate bespoke trade deal, then we could spend several years outside the EU and UK goods would be subject to World Trade Organisation rules (i.e. tariffs on certain goods). All current trade deals involving the UK between the EU and other major economies will be torn up and the UK will have to negotiate our own. It’s unlikely, for example, that the UK will be a party to TTIP if it goes ahead (the EU-US free trade deal). There’s opportunities there if it’s done correctly, but the process needs to be started quickly and the Leave campaign haven’t given any indication of what they would’ve done as a result of winning, which is beyond irresponsible. The other big concern at the moment will, of course, be the steel crisis. 69% of Welsh steel exports go to the EU, and Tata Steel have already stalled the sales process as buyers get cold feet, bringing even more uncertainty to Port Talbot in particular. Also, it was the UK Government blocking the EU putting tariffs on Chinese steel imports just as we face years of uncertainty on what sort of trade and export arrangement the UK will get. Tata have a more productive, profitable plant in the Netherlands which will remain in the EU. My fear now is the vote will give Tata an excuse to put mothballing or complete closure of Port Talbot steelworks back on the table. It would be the cruelest of ironies if Neath Port Talbot – which had one of the strongest Leave votes in Wales (56.8%) – ended up indirectly voting to close their own steelworks. Considering our ferocious appetite for self-punishment, “Gimp Island” might be a suitable alternative name forEnglandandWales. Anyone who voted Leave expecting the UK to pull up the drawbridge and bring immigration down – perhaps even actively deport people – is set to be massively disappointed. As said, if the UK wants to remain part of the EEA/single market– similar to Norway (which is probably the best possible outcome here) – it’ll have to accept free movement/uncontrolled immigration from the EU. So I’m not expecting any changes at all to net migration figures. A bespoke trade deal – which would give Westminster full control of immigration – is unlikely to include complete access to the single market and could mean tariffs. For the time being, the status of EU citizens already resident in Wales won’t change and it’s more than likely they’ll be able to reside here permanently without restriction even after the UK has withdrawn. Whether they’ll want to stay here is an altogether different question. There are already reports of EU immigrants and ethnic minority citizens being targeted by knuckle-draggers – even, sadly, in Wales. Racism and bigotry has always existed and clearly a minority thought Vote Leave literallymeant voting to make people Leave. I’m not exactly shocked that a chunk of the population were thick enough to believe that after the campaign they’ve been exposed to. The danger here is that when Leave voters realise immigrants won’t be deported in their droves after all, they’ll turn to those offering an even more extreme view on immigrants. As for what sort of impact this might have, the dental surgery where I’m a patient – one of the few practices that accepts large numbers of NHS patients in Bridgend – is almost entirely staffed by dentists from other EU countries, in particular eastern Europe. Highly-skilled immigrants like them would have no problems passing a points system and if the Brexit deal retains free movement (under the EEA), they won’t be impacted. But it’s not going to send the right message to skilled immigrants thinking of working here or, indeed, those already living here. That’s just one surgery in one town – replicate it through the entire Welsh NHS. A post-Brexit Welsh Government can expect extra powers by default. Wales will almost certainly get extra powers as a result of this, particularly in agriculture, fisheries, the environment etc. So it’s likely the Welsh Government could end up responsible for things like beach cleanliness, food safety, GM foods and setting carbon reduction targets. There’ll actually be quite a long list. 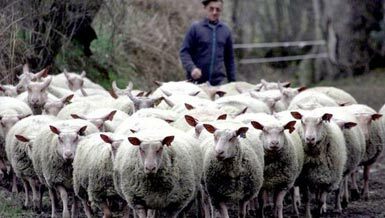 The Welsh Government will also be likely be responsible for replacing the Common Agricultural Policy with a new farm subsidy scheme and also replacing EU Structural Programmes/regional policy. That means farming will now be competing with other devolved services for funding and political attention – nothing wrong with that in principle. The problem is the EU Parliament was a time-saver. It did all these things for MPs and AMs, who only had to discuss the directives and regulations. In future they’ll have to draft them and more Assembly time will be spent on business that would’ve otherwise been conducted in Brussels. So regardless of public or political opinion on the issue, expansion of the National Assembly will need to be revisited, and is perhaps essential – I couldn’t give a toss about what it calls itself. Also, Brexit could hit the Third (Voluntary & Charity) Sector particularly hard – which might not be a particularly bad thing. Many receive funding via the European Social Fund to run things like training schemes. 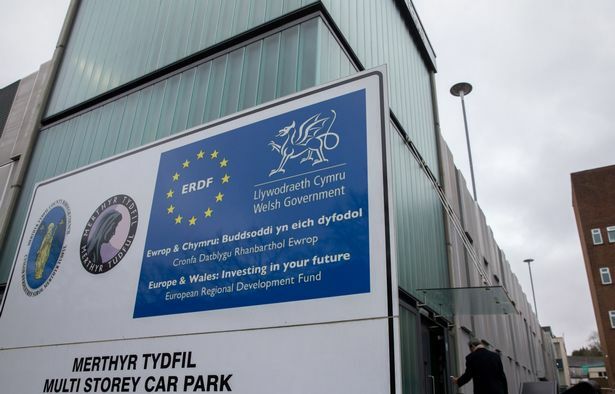 According to the Welsh Center for Voluntary Action (WCVA), £105million of EU funding was made available to the Third Sector between 2007-2014 with the EU funding 50-75% of the cost of certain projects. Although in the short term they’ll continue to get money for projects, post-Brexit the money will have to come directly from the Welsh Government or somewhere else, so AMs can expect to be lobbied even harder. For some smaller organisations that might put them at risk of going out of business, but there’s nothing wrong with having a smaller Third Sector made up of fewer, larger organisations instead of several competing on the same turf – which is part of the reason people didn’t see how EU funds were working in the first place. – though Wales will likely have greater say in how it’s used. As has been said many times during the campaign, Wales is/was a net-beneficiary from the EU by somewhere between £180-245million a year. That includes CAP payments to farmers, EU structural funds etc. If the UK wants to remain in the single market/EEA, it’ll have to make a contribution to the EU’s budget and won’t receive a rebate or any EU structural funding (like Objective One) back. That would wipe out most of the savings from EU membership costs and cuts the net £10billion a year contribution significantly. The UK won’t save as much as Leave campaigners said. If the UK withdraws from the single market, it won’t make any contributions to the EU’s budget – estimated to be, in Wales’ case, £414million a year after the UK’s rebate is discounted. That will presumably come straight back to Wales, but what about the extra £180-245million on top? That depends on who’s in charge at Westminster and the incoming Conservative Prime Minister. There’ve been promises from the Leave campaign that this extra spending would be maintained until 2020, but that money will come from Brussels anyway for as long as the UK stays in the EU. The real problem here is if the UK falls into recession and the UK Government pursues further cuts/austerity in response – which is inevitable. The “punishment budget” will happen, it’s just been delayed until the Treasury know just how much they’ll need to cut. When that happens, we can kiss goodbye to the £180-245million and probably a fair chunk of our former EU contribution. I would take any promise that Wales will “get extra cash”with a massive handful of salt. If anything, this is more likely to end up costing us money. There’ll be a sizable impact on universities. EU students are worth £70million a year to Welsh universities, while Horizon 2020 would pump £218million into Wales between 2014-2020. That won’t change for the next few years but, again, this money will have to come from somewhere else once the UK leaves the EU. Wales is already short-changed by the UK Research Councils so the only alternative avenue is the Welsh Government. In addition, a major review of student finance will be published later in the year (Diamond Review), while there’s been talk of the Higher Education Funding Council (HEFCW) being disbanded or reformed. Considering the impact this vote will have on higher education funding, it’s unclear whether those plans will already be out of date and whether policies like tuition fee subsidies will continue. There’ll be some uncertainty now. Nevertheless, EU withdrawal will end the difference between students from the EU and rest of the world, souniversities in the UK could become more attractive to talented students from beyond Europe, creating a much bigger draw and making it easier to recruit postgraduates and doctoral students from places like India, China, Australia etc. The immediate deduction from the results is that the Welsh are English with funny accents and the vote means Wales became a bigger version of Cornwall last Thursday (as if we weren’t already). That’s not necessarily true and, in the longer term, this could be a turning point. For starters, Scotland’s gone – whether it’s in a year or ten years doesn’t matter, they’ve got one foot out the door – and there’s a reasonable chance the constitutional position of Northern Ireland will change (though that doesn’t necessarily mean Irish reunification). The UK is coming to an end and the Welsh Government will have to prepare for that eventuality as it would have if Scotland voted yes in 2014….on top of issues surrounding Brexit negotiations. The only way the UK can be held together now is if the result of the referendum is overturned, or there’s some sort of constitutional fudging to keep Scotland, London and Northern Ireland in the EU – like a confederation of sovereign states….a lot like the EU in fact. Neither’s likely to happen. UKIP should promptly change its name to UK-RIP or EWKIP. As I said on Monday, the Welsh result was closer than any other part of the UK except South East England (which was under water last Thursday) and wasn’t too far off South West England either. 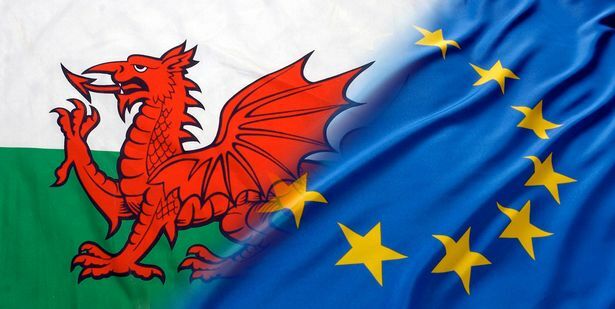 The 47.5% who voted Remain in Wales – many of whom will have been historically opposed to civic nationalism in Wales and Scotland – may, stress may, now see a “Wexit” as the only way for Wales to rejoin the EU or escape Greater England. Welsh nationalism has gone from being “insular” to internationalist, the truth being that it’s always been the latter. Maybe there’ll even be a few questions at the back of some Labour-voting minds as to whether this independence thing isn’t so silly after all, with the prospect of semi-permanent Tory rule in EnglandandWalesand without common European citizenship to fall back on. It’ll be dismissed now of course because there are still huge problems to overcome – notably the public spending deficit – but I suspect they’ll keep coming back to it as the years go by. Wales is about to find itself in a “union” dominated by an increasingly nationalist England, and a “union” where I doubt the Welsh will be particularly welcome after the Scots rescue themselves. Once leave voters in England realise their dream of lower immigration and streets paved with gold won’t arrive – and while Wales retains a public spending deficit – they might decide EnglandandWales sounds much better as England. Also, the vote proves people are willing to ignore economic reality to vote for something they believe in or to give the establishment a kicking. 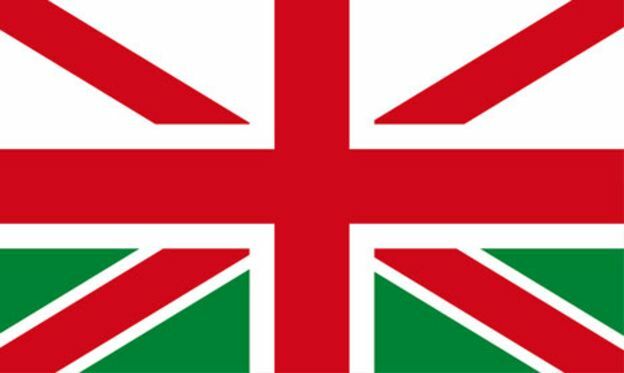 Nothing fits that description better than Welsh independence : it’s unpopular, would force real change and the establishment at both a Welsh and UK level – which now includes UKIP – cringe at the idea. This doesn’t necessarily mean offering them a dumbed-down, jingoistic Vote Leave style offer. They should be offered hope with a head and a firm plan – much like the SNP have done. So short term, it’s a bad result for Welsh nationalists and a Welsh “Remain” vote would’ve been more useful is giving us a stronger hand in Brexit negotiations. Longer-term this might be the game-changer that tips the balance in our favour, much like the loss of the 2014 Scottish independence referendum was for the SNP but played out over a longer timescale. The trouble is, can our nationalist party take advantage of the opportunity? I’m sceptical about the newfound enthusiasm for independence from Plaid Cymru, just hours after suggesting there could be a Labour-Plaid coalition. It was only a few months ago the leadership scotched both ideas and, from what they’ve said so far, they’re giving the impression of having no idea how to react to the result – perfectly understandable, but not helpful. It would’ve been better to think things through first because the language being used suggests a federal/confederal UK – which is in line with something Scottish Labour are pursuing – not independence. Which one is it? The answer could determine the long-term future of Welsh nationalism and Plaid Cymru. They’ve had three different positions – pushing for independence, going into government, confederal Britain – in as many days. Independence means something very specific and is very different from the other two. Maybe for the first time in a long time Plaid will be able give us a clear answer on where they see Wales’ constitutional journey finishing, not “the next steps” – because the journey could finish much sooner than they think and seem prepared for.